But what does a back have to do with a mouth? If you’ve ever felt pain in your back, well, it has a lot to do with it. You probably never think about your spine when you’re cramming junk food in your pie hole. But just because you can’t see your spine doesn’t mean it isn’t affected by your nutrition. Eating to keep your spine healthy then becomes a motivation to keep eating healthy—even over the holidays, even at a Chattanooga holiday party. Let’s say you’re visiting relatives in Chattanooga this week so you decide to stay at the Mayor’s Mansion Inn bed and breakfast. Sounds lovely—until you hear that cookies and eggnog are part of the welcome party. 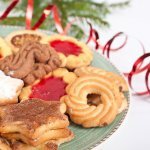 Cookies and eggnog will be fun going down, of course, but the high sugar content in both will lead to stress on the heart . This creates a domino effect, eventually affecting blood flow to the spine. If you have a history of pain in your back, you do not want to mess with blood flow to it. Reduced oxygen and minerals to the spine can lead to degeneration of the spinal discs , spelling pain for you. So while some eggnog and cookies consumed before bed at the Inn aren’t immediately going to make you double over in pain, the sugar and fat they supply to your body takes away from the nutrients and oxygen that need to be delivered to the spinal discs. The obvious answer is to just say no. No thank you, because we can’t be rude to our hosts in Chattanooga, the Scenic City of the South. Sure, we can say “no” all day long. But realistically, all the rich, welcoming food of the holidays is going to get to you, and you’re going to cave. So you need a plan. One idea is to make your own alternatives. This Chattanooga TV station, channel 3, published an eggnog recipe on the lighter side. It recommends “sweetener to taste” rather than a bucket of sugar. 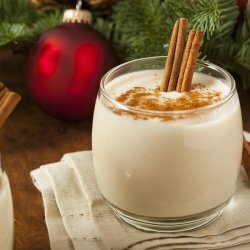 So maybe you call ahead and offer this light eggnog recipe to your hosts at the Inn, or maybe you just be “that guest” who brings their own eggnog to the party. Maybe you just eat your own baked goods at home, go have fun without eating any sweets, and chow down when you get home again as a reward. Either way, you’ll need this very helpful list of alternate sweeteners to get you started in the right direction with your own holiday baking. Most people have very tangible reasons for sticking to a diet plan long term. They have a disease, like diabetes or heart problems. They are overweight and have found a way to keep losing weight. That’s why it’s a little harder to stick to a healthy lifestyle when your motivation is your spine—you can’t see it, and unless you suffer from chronic pain, you can’t feel it. But this doesn’t mean your spine isn’t worth eating for, even when you’re faced with piles of luscious pies and ladyfingers. We’ve already read with that link up there about spinal disc degeneration that unless your spine gets enough oxygen and nutrients from blood supply, the casings on your discs will fail, causing excruciating pain. 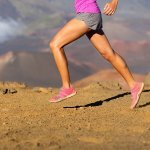 So while your back doesn’t hurt now, it may a few years from now—which is reason enough for most people to stay on a healthy track. If you’re serious about staying healthy over the holidays, then you’ll be interested in creating alternatives to stick to a plan. In the Chattanooga area, stores like Earth Fare and Whole Foods exist to help you stay on track with products that are hard to find in general grocery stores. You can stay healthy this holiday season! What are your food strategies? Do you nibble at forbidden foods so you don’t crave them later? Do you bring your own snacks to parties? Let us know in a comment below!